PhotographyFTP Hosting, File Sharing, Share Files with Anyone Anytime! Are you trying to share photos? 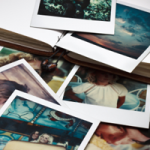 Do you frequently transfer large volumes of photos to your clients or printing company? If so, you should consider FTP hosting for your file transferring needs. FTP stands for File Transfer Protocol, a technology that allows you to transfer files of all types over networks such as the internet. Because of the added efficiency and security an FTP service provides, more professionals are taking this route to communicate with their clients and vendors. Aside from being effective, an FTP hosting service offers several more advantages. It can get very costly to ship items on a regular basis. The overall cost depends on various factors including weight, shipment type and location. These are factors you will commonly encounter with services provided by FedEx, UPS or the local post office. With an FTP hosting service, there are no additional charges and no limits on what can be transmitted. Because the service is being paid for on a monthly or yearly basis, this makes the most cost effective way to transport important image or drawing files. High quality hotographs are much larger in comparison to basic text files. Trying to send these files via email would call for you to divide them up, taking the risk of a failed transmission. With FTP, files can be sent in a compressed format, speeding up the process while your clients receive the content in perfect condition. When going for a FTP hosting service, you have the option of obtaining advanced security with strong encryption. This security mechanism encrypts the contents of your files so they cannot be viewed by unauthorized parties. You will find that transferring files with an FTP hosting service is a user-friendly process. The service provider allocates a generous amount of server space and supplies FTP accounts to communicate with your clients. Through the FTP client, you can upload large files such as graphics and applications to the FTP server. By using their own account, your clients can easily download the files directly to their local drive. This entire process can be completed in a matter of minutes with a broadband internet connection. FTP hosting services are becoming increasing popular, offering the cost effectiveness and reliability professionals of all types need to communicate. With so many providers on the market, you can find a host able to create a custom made package that suits your business needs perfectly.